This collection has been donated to Boğaziçi University by Aziz Ogan’s grandson, Hüseyin İnan, through the mediation of Prof. Dr. Edhem Eldem, a faculty member of the History Department. It includes valuable materials dating from the 1920s onward, which not only shed light on the development of archaeology and museology in Turkey but also render it possible for researchers to trace the cultural politics of the early Republican period that are centered around the pre-Islamic Anatolian civilizations. The most important part of the collection is comprised of the works of Ogan, which he undertook during his directorship of the İzmir Museum of Antiquities. The documents dating from this period mostly include the reports pertaining to the archaeological excavations conducted in the vicinity of İzmir, as well as reports on museums in different localities in Anatolia and notes concerning the establishment processes of the İzmir, Pergamon and Ephesus museums. The rest of the collection includes Ogan’s correspondence dating from the time he was the acting president of the İstanbul Museums Directorship and the Committee of the Protection of Antiquities as well as the guidebooks, publications and notes he took and published on İstanbul Archaeology Museums, İstanbul’s fountains and a number of Byzantine churches such as Chora and Hagia Irene. The guidebooks and the drafts of excavation reports that Ogan prepared are particularly noteworthy. In addition, the Aziz Ogan Collection which includes Ogan’s correspondence with the Ministry of Education, İzmir’s Governorship, the Turkish Historical Society, international museums, archaeology institutions and many foreign archaeologists, notes on his visits to foreign countries as well as his diplomas, awards and many photographs and newspaper clippings, constitute an indispensable source for anyone interested in Turkey’s history of archaeology and museums. As the inspector of İzmir and the neighboring areas, Ogan worked at the İzmir Museum of Antiquities, monitored the works carried out at the ruins and excavations in İzmir and the neighboring provinces and kept in constant contact with local and foreign archaeologists. During this period, he supervised the excavations of ancient cities like Sardis, Ephesus, Ayasuluk, Selçuk, Pergamon, Didyma, Miletus and conducted research on these sites, which are all very important for the ancient history of West Anatolian geography. Notably, he coordinated the transfer of the artifacts that appeared in various museums all over the country. Aziz Ogan, who played a pivotal role in the preservation of ancient artifacts and in the development of museums, was a member of institutions such as the Turkish Historical Society, the Austrian, Czechoslovakian, Finnish and German Archaeological Institutes, the Mainz Academy of Sciences and Literature and the İstanbul Institute. In addition, by contacting the International Council of Museums (ICOM) and UNESCO, Ogan initiated the first contact between the museums in İstanbul and the rest of the world. Besides the constructions of the İzmir, Ephesus, and Pergamon Museums that stand out for their rich collections, Aziz Ogan played a pivotal role in protecting the antiques in these institutions. He appointed guards to protect both the ruins and the museums. The Aziz Ogan Collection is also a unique source of information about everyday life in the excavations, especially concerning the recruitment of guards and the interpersonal relationships among workers. 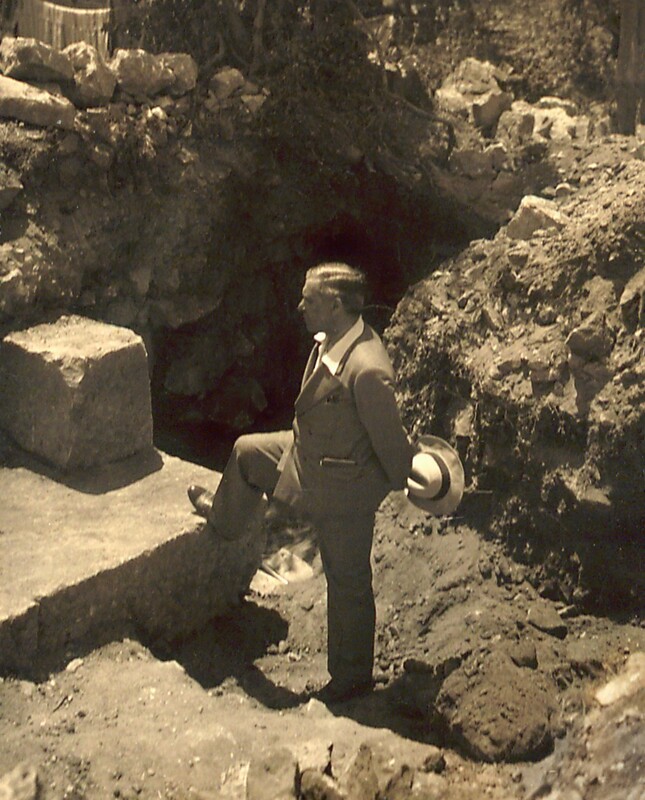 In 1923, at the request of Mustafa Kemal, Aziz Ogan commenced work on the establishment of the İzmir Museum of Antiquities with the Governor of İzmir Kazım Pasha (Dirik) and focused on the preparations of museum collections. The museum, established in the former Ayavukla church built in the late Ottoman period by the Greek community of İzmir, opened its doors to public as a museum in 1927. 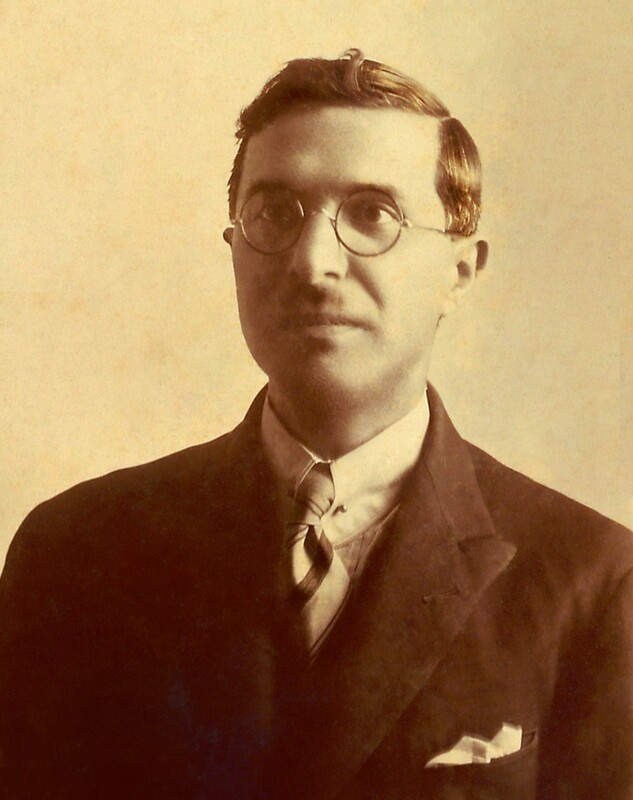 Aziz Ogan encouraged Governor Kazım Pasha, whom he had met during the World War I in Damascus, to establish the İzmir Society of Friends of Antiquities. Attracting much attention in a short period of time, the Society of Friends of the İzmir Museum of Antiquities gained members among the intellectuals living in İzmir and foreign archaeologists and historians interested in Turkey. It played an important role in establishing an awareness towards of archaeology in the region. While Aziz Ogan was working as the inspector of the İzmir Museum of Antiquities, he was also the chairman of the İzmir Turkish Artists’ Society, and he made the galleries of the İzmir Museum available for painting exhibitions. According to his daughter, Jale İnan, Ogan’s favorite pastime was painting, and there are many oil and water paintings in this collection that Ogan produced from his early student years until his death. Upon the retirement of Osman Hamdi Bey's brother, Halil Edhem Bey, from his post at the head of İstanbul Museums, Aziz Ogan was appointed as the General Director of İstanbul Museums and occupied this position until his retirement in 1954. Aziz Ogan made substantial contributions to the recognition of the Turkish museum and archaeological studies in the international arena by publishing the bulletin “Almanac of İstanbul Archaeology Museum” at various intervals starting in 1934. The conversions of both the Hagia Sophia into a museum and the Tabhane Madrasa in the Süleymaniye Complex into the Turkish and Islamic Arts Museum also coincide with the years of Aziz Ogan's directorship. Again in this period, he also facilitated the opening of new sections in the Orient section of the İstanbul Archaeology Museum, organized informative conferences about the museums and put forth publications about the Fethiye Mosque, İstanbul City Walls and Tiled Kiosk. The most remarkable works that came into being during Aziz Ogan's İstanbul years were his research on Byzantine history and his inventory study. In this period, Ogan prepared several guidebooks on the Ayasofya (Hagia Sophia), Kariye (Chora), Aya İrini (Hagia Irene) churches and Fethiye Mosque (Pammakaristos Church), as well as various mosaics and Byzantine sculptures for publication. His archives contain numerous longhand notes taken for this purpose. During his İstanbul years, Aziz Ogan participated in various explorations both in museums and excavations in European countries. He visited prominent museums in countries such as Austria, Germany, Holland, England, France and Italy. He had the opportunity to see excavation fields and observe the new techniques applied in these excavations, especially in Italy and Greece. 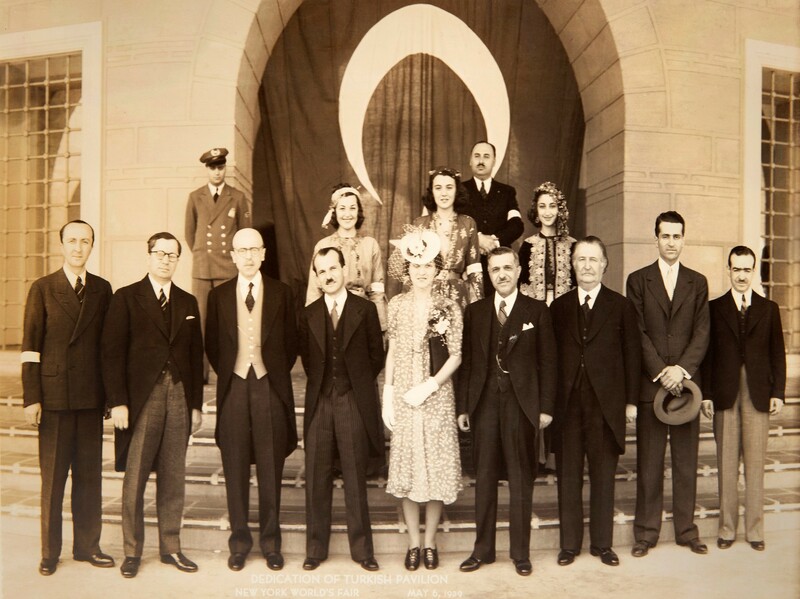 He attended the New York World's Fair as the Head of the Delegation of Turkey’s Antiquities and Museums in 1939.